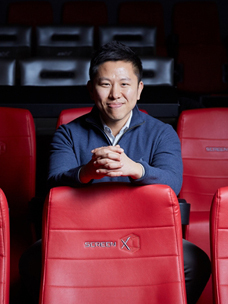 Cultureplex CGV accelerates entry into the global market with 4DX and Screen X! 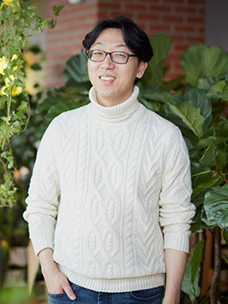 CJ CGV is taking the initiative in promoting Korean theater culture to the world by going beyond the traditional film-oriented multiplex and pursuing 'Cultureplex', a complex entertainment platform in which consumers can experience a variety of cultures including film. Presenting cinema as a culture, which you can enjoy with all five senses rather than simply with your eyes and ears, CGV is advancing forward, building its reputation in the global market. CGV, as a ‘Cultureplex’, has differentiated itself with special screens through innovative technologies and has continuously evolved for viewers to become more immersed in films, attracting citizens all around the world. In particular, after being exhibited at CINEMACON, the world's largest annual film industry fair held in Las Vegas, the US, Screen X and 4DX attracted a lot of attention from the global film industry including Hollywood's major studios as a next generation technology of the cinema business. As for Screen X, which uses three sides of an auditorium as a screen, the company plans to show two blockbusters: "For a Few Bullets" and "Call of Heroes" for the Screen X version in China, as an initial stage of its entry into the global market. 4DX is the world's first commercial "five sense" theater developed by CJ 4DPLEX, a subsidiary of CJ CGV. The core technology of 4DX is detailed 4D programing considering the tempo and emotional flow of a film. It is regarded as a creative product combining IT and cultural sensitivity. The combination of special environmental effect equipment and motion chair technologies presents a diverse range of five sense effects according to the film, including seat motion, vibration, wind, splashing water and even scents. These various environmental effects that make a film more realistic include: water, wind, fog, rain, bubbles, lightning, air, vibrations, scents, ticklers and snow. Since its introduction in CGV Sangam in 2009, 4DX has expanded its presence to the world and, as of July 2016, CGV operates 4DX screens in 268 cinemas in 41 countries around the world, including the US, Japan, UK, India, Mexico, Russia, Brazil and Chile, as well as Korea and China. At the end of 2010, there were only 13 4DX theaters, in Korea and China, and that number has dramatically increased since then. The first 4DX screen in the US was installed at Regal Cinemas L.A. LIVE Stadium 14 in Los Angeles in 2014. One year after introducing 4DX, the visitation rate of the cinema rose twofold and ticket sales rose threefold. ▲ The entrance of the 4DX auditorium at L.A. LIVE STADIUM 14, the first US cinema that introduced CGV's 4DX. As the number of theaters with 4DX screens increases, the number of 4DX films and that of 4DX viewers is also rising significantly. There were only 24 films shown as 4DX for the two-year period from 2009 to 2010, but the number rose sharply to 58 in 2013, 75 in 2014, and 76 in 2015. The number of global viewers also exceeded the 10 million mark in 2015 alone, with the total cumulative number amounting to 37 million. Many positive comments and reviews were given to the 4DX technology and Jeffrey Katzenberg, producer of "Shrek" and "Kung Fu Panda", even remarked at CINEMACON in 2011, the world's largest film industry fair: "If you want to see the future of cinema, go to a Korean theater." Famous film directors also commented favorably on the new technology. Alfonso Cuaron, a world's renowned film director who directed "Gravity" said, "After I experienced 4DX, I wanted to develop some ideas for the new film format. I began contemplating how to make 4DX films." ▲ Realistic visuals - the technology of CGV enjoyed by people of the world! The entry of CJ CGV's 4DX and Screen X technologies into the global market is not only creating new values to the global cinema industry and promoting Korean cinema culture throughout the world but it is also contributing to the development of related industries and the creation of jobs. There are over 50 small businesses developing motion chairs and environmental effect equipment for 4DX, and by accelerating the advancement of 4DX into the global market, this will lead to the entry of these businesses into the global market where they can see a major rise in sales. In addition, as the technology requires detailed 4D programming as a core competency, it is also expected to contribute to fostering skilled experts and creating jobs. 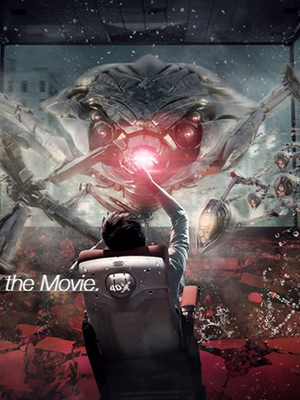 According to a study conducted by the Korea Contents Society in 2012, if Screen X is successfully commercialized and introduced in foreign cinemas based on technical standardization, it is expected to bring the effect of production inducement worth approximately 1.9 trillion won as well as over 15,000 new jobs in related fields, including filmmaking and distribution. 4DX and Screen X are multi-sensory cultural experiences that we developed and the world enjoys. CJ CGV will continue to make a difference that elicits wonder and emotion to people of the world.